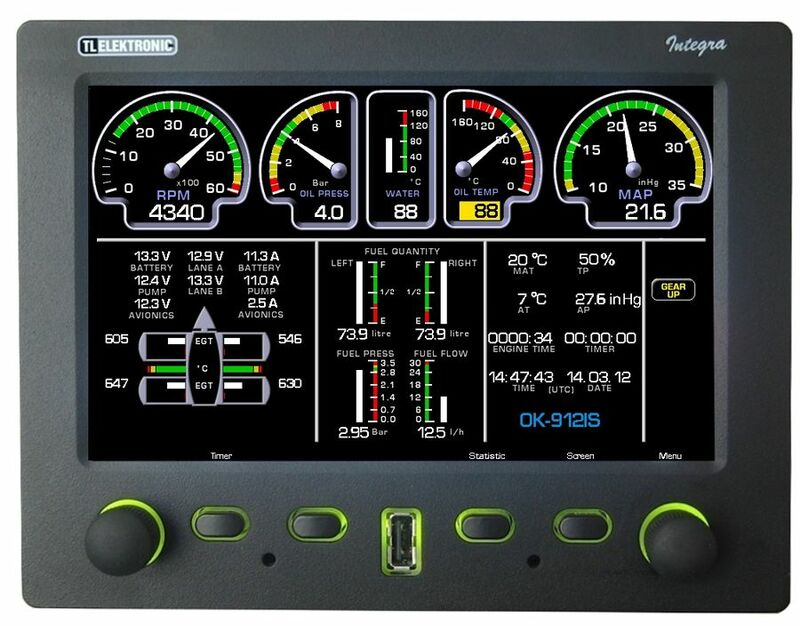 EMS Integra TL-6760 is a multifunctional engine monitoring system integrating all primary engine instruments (i.e. 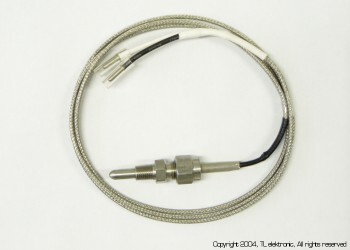 Tachometer, Manifold Pressure Indicator, EGT, CHT, Oil and Water Temperature Indicator, Fuel Quantity, Fuel Pressure and Fuel Flow Indicator, Voltmeter, Ammeter, Timer, IAT, OAT etc.). 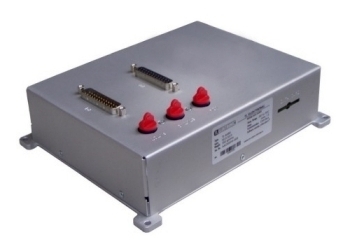 The EMS Integra also integrates propeller control for Constant Speed and Choke Control. 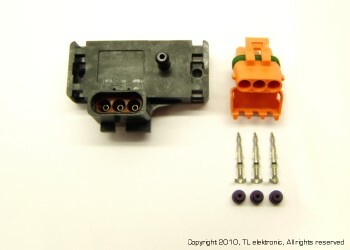 EMS Integra is designed for use with all engines manufactured worldwide. Wide viewing angles, brilliant colour and direct sunlight readability gives you a new dimension in EMS instrumentation. Proven high-tech components provide you with comfortable, user-friendly control. 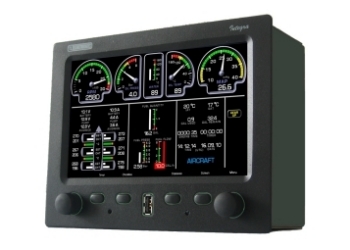 Its fully ambidextrous controls provide access to a variety of functions- a well-arranged display of genuine analogue instruments, a downloadable measured values history of engine functions by USB port, protection of your engine by constantly monitoring all measured values, direct headphone voice warnings etc.